Home About Universe Beginners Info Infographics Missions Physics Quantum Mechanics Scientists Technology Videos What exactly is light anyway? Explained! 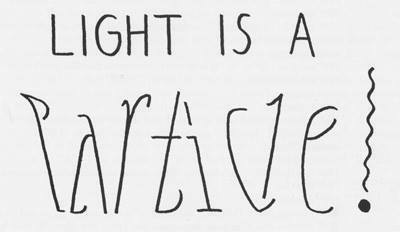 What exactly is light anyway? Explained! What precisely is light? We’re endlessly surrounded by it and it’s pretty much the entire means by which we comprehend the Universe and our place in it, and yet for such a vital portion of our presence, it’s so easy to take it for granted, or most of the times forget about it completely. But if you can’t recall the fundamental science of light you learned in high school (or perhaps you weren’t paying attention that particular day…), this outstanding 4-minute video by Kurzgesagt (aka ‘In a Nutshell’) delivers an excellent introduction on that whole wavy physics thing that’s kind of essential for everything else in the Cosmos to function.